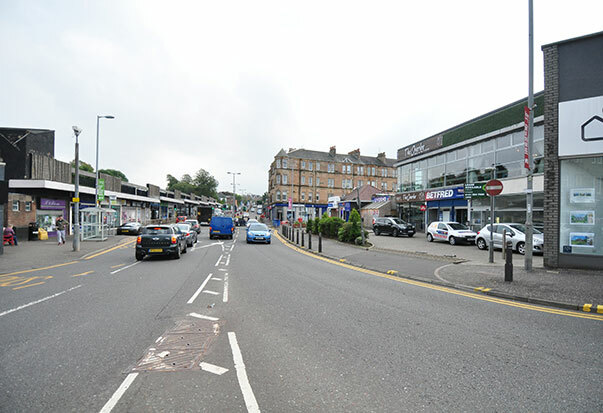 East Renfrewshire Council commissioned AECOM in collaboration with Nick Wright Planning and WMUD were commissioned in July 2016 to work alongside the Council, the local community and stakeholders to develop a vision and strategy for Clarkston Town Centre through a Town Centre Charrette. 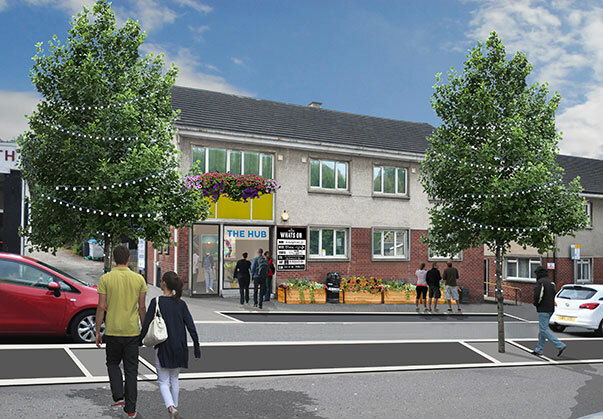 The Council is committed to developing a long-term vision and strategy for Clarkston Town Centre that is informed by and developed in consultation with the local community and other stakeholders. A number of key issues emerged during the Town Centre Charrette engagement including the lack of a community hub, heavy traffic flows through the town centre making it difficult for pedestrians to cross Busby Road and for cyclists to get around, poor and uninviting linkages to the Library, Clarkston Hall and adjacent car park, issues with parking, a lack of sense of arrival and a feeling that the main street is cluttered and run down, a lack of variety of shops, not enough for young people to do, and no public meeting space. To deliver this vision over the next 5-10 years, three priorities for action were developed through the public workshops in direct response to the ideas and issues heard by the team. 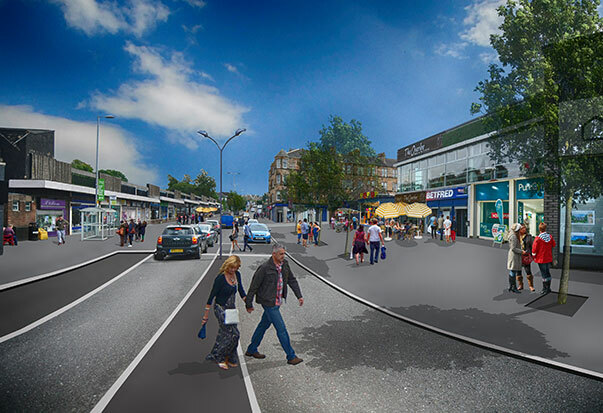 Outline proposals have been produced to show how Busby Road could be redesigned to meet the aspirations for it to be more pedestrian and cycle friendly and easier to get around, less noisy and polluted, more distinctive with more trees and plants, and more lively and bustling with a café culture and outdoor seating and activity. Although the proposals focus on Busby Road, they contain suggestions for the former goods yard area towards Clarkston Hall and Library, as well as the continuation of Busby Road southwards towards Sheddens. 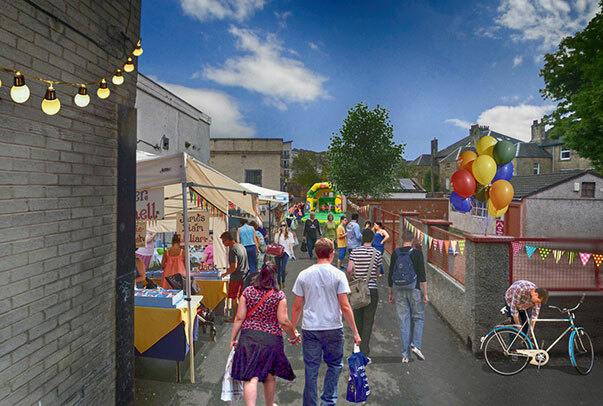 The main components of the proposal include a better balance between vehicles and pedestrians, new civic spaces for community and business activity, targeted public realm improvements and encouragement of a night time economy. A parking strategy was considered as part of the overall improvement strategy. 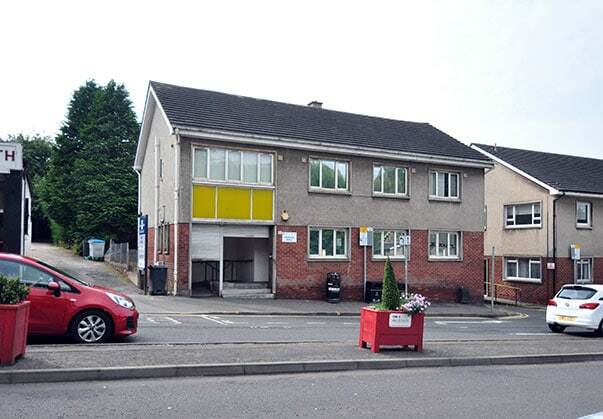 Short term actions include a trial project for a short section of Busby Road, plus options to tidy up and invest in the station entrance and surrounding areas and links across to the Library, Clarkston Halls and associated car parking. In the longer term, ERC will investigate funding for detail design works. 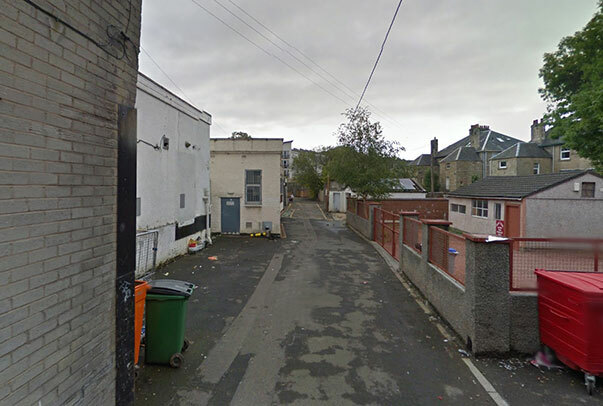 There were a number of sites suggested: refurbishment of Clarkston Library & Hall, new build on the Old Goods Yard (with parking maintained below), the former Social Work office and/or former health clinic on Busby Road, and the vacant ground floor premises beneath The Overlee. A number of uses were suggested: youth space, enterprise and business space, community space, and outdoor meeting/market space. There are a number of different delivery models by the third sector, public sector or private sector. In order to progress ERC will need to investigate if funds are available for a feasibility study. The community should seek to establish a Community Council or other representative local group as a representative community voice and work in partnership with the Council to assist with design and delivery of the civic space or other elements of the proposals. In the interim, short-term actions could include cinema nights at Clarkston Hall (e.g. for teenagers during the evening, for families/toddlers during the day), other more informal activities in the Hall such as soft play mornings, and popup shops in vacant premises. During the charrette, people said that they wanted to improve the walking and cycling connections between the good places that Clarkston has to offer including: Busby Glen, Clarkston Hall, Library, the new Health Centre, Overlee Park, schools and Nurseries, Sheddens shops, Tinkers Park and the town centre. 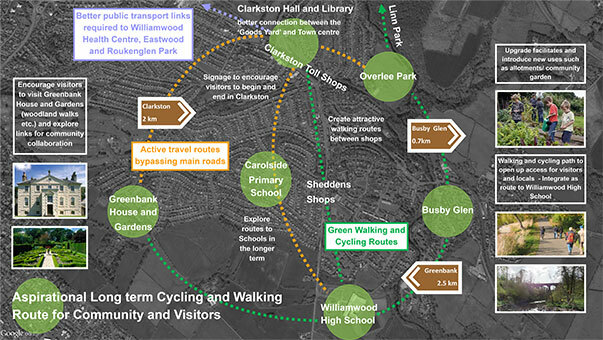 The basic concept was that all these facilities should be better connected by a ‘green network’ which enables people of all ages to safely and comfortably walk and cycle between Clarkston’s main destinations and points of interest. The network should be seen as a collaborative effort, initiated and facilitated by the Council but delivered in partnership with any local organisation which has an interest. The first steps, therefore, should be to create an outline of the network and a brand/identity which can then be shared and developed in partnership with others. In the short term ERC will investigate opportunities to establish an overall indicative walking and cycling network containing points of interest, indicative routes (including potential options and gaps which will need investment) and connections to the wider Core Path Network. The Council will also investigate ways to enhance access from the town centre to the Library, Clarkston Halls and adjacent car parking. Through engagement at the Town Centre Charrette with local residents, community groups, businesses and public agencies, a remarkable degree of consensus emerged over a long-term vision for the town centre and three main priorities to deliver that vision: redesigning Busby Road, creating a civic space, and a walking and cycling network to connect local facilities and points of interest. 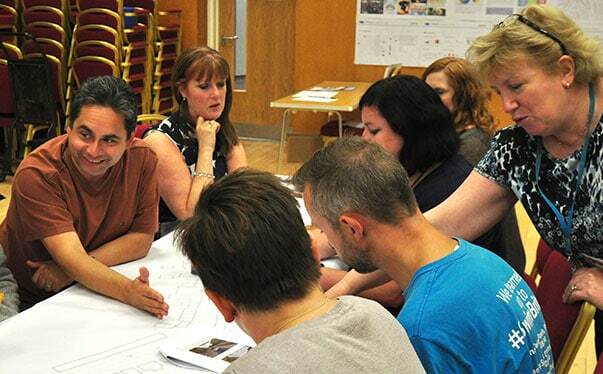 The vision and priorities emerged at the first charrette workshop were worked through in more detail at the second workshop before being tested with the local community through a final charrette exhibition (and through online engagement), with overwhelmingly positive support. Collaborative action between the public, private and community sectors will be absolutely essential in delivering the priority projects, and therefore the long-term vision, outlined in this report. No one party has the ability of resources to do everything alone. 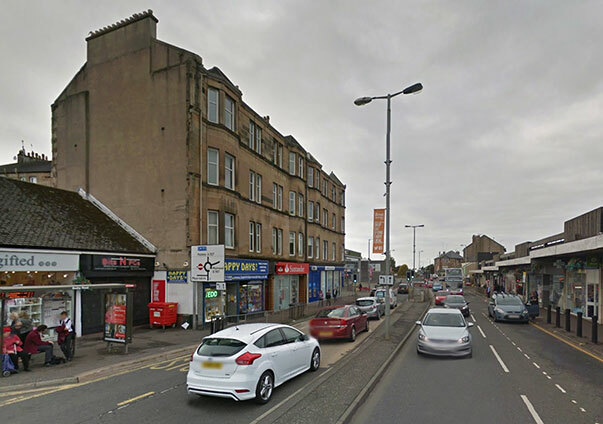 Successful regeneration of Clarkston town centre will rely on everyone pulling in the same direction: local authority, the Business Improvement District, individual businesses, community groups and residents. The Council intends to do what it can over the coming years, as outlined in this report. 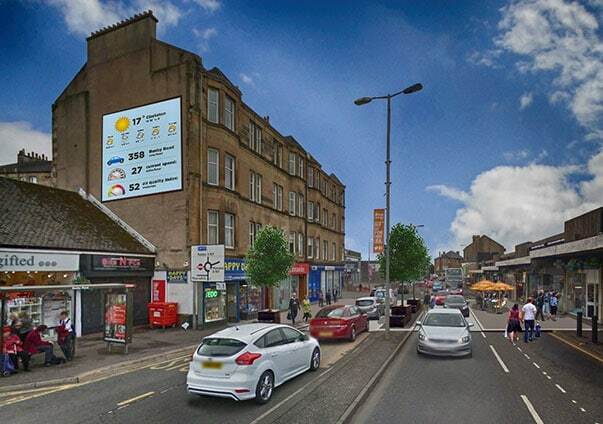 The real success of the Town Centre Charrette will rely on businesses and residents also investing their money, time and energy to make the full range proposals in this report come to life and make Clarkston town centre a more thriving place.